Acrylic comes in the form of 'Extruded' or 'Cast'. Whilst Extruded is the cheaper option, Cast Acrylic provides a better clarity, finish and a slightly harder surface. Both are available in full 3m x 2m sheets or 'cut to size' panels in 2mm to 12mm thickness. 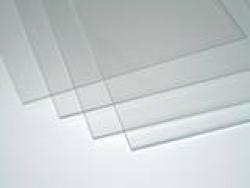 Polycarbonate is a much tougher clear plastic than acrylic. It is generally used in areas where impact may occur and a more durable material is required. It has a softer surface than the acrylic but will take much more punishment before it will crack. 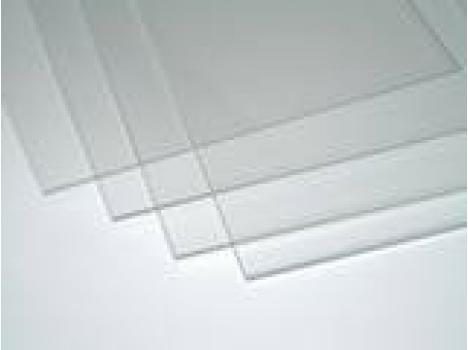 Polycarbonate is also used more where non-specialist drilling or cutting may be required. Our 'UV Stable' Polycarbonate range also comes with a 10 year non-discolouration guarantee; ideal for use in sunlight. Available in full 3m x 2m sheets or 'cut to size' panels in 2mm to 12mm thickness. For more information on our clear acrylic and/or polycarbonate panels, e-mail us via our contact form or give us a call on 0114 244 6357.